Jagex Games Studio today announced a new online multiplayer first-person shooter, in which brains are as important as bullets. Block N Load combines first-person action with strategic construction that sees teams competing to build defensive and offensive emplacements, before tunneling, leaping and charging into the enemy’s base. 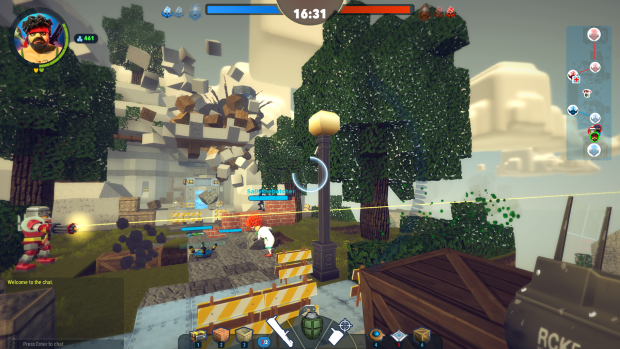 Block N Load features destructible arenas that get explosive makeovers as teams meld tactical action with strategic creativity. 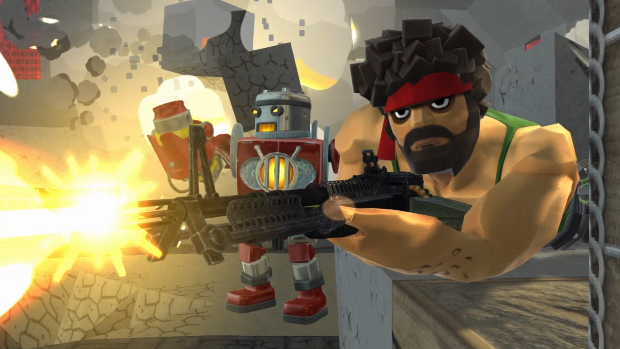 To aid them in their objectives, combatants can initially select from six heroes who each offer unique combative and tactical advantages such as Cogwheel, an unhinged weapons obsessed robot; O.P. Juan Shinobi, a deadly Ninja that players won’t see coming; or Doctor Eliza Doolally, who shuns ethics in favor of applied chemistry. In addition to active and passive abilities, each player will also have access to an array of weapons and blocks such as mines, force fields, bounce pads, glue tiles, turrets and giant bombs. All these elements, and more, combine to create an explosive experience that demolishes preconceptions of first-person shooters. Block N Load is currently in development for PC and is scheduled to launch on Steam in 2015. Registration to enter this December’s beta test is now open at the official website: www.blocknload.com. Learn more with our hands on alpha preview! Blade & Soul in the West - Closed Beta Dates Announced!